Last installment of my discussion of René Brouwer’s The Stoic Sage: The Early Stoics on Wisdom, Sagehood and Socrates (Cambridge Press). I will focus here on the final section of the fourth chapter of the book, which features a very revealing and harsh controversy between the Stoics and their cousins, the Epicureans. It will illuminate the figures of Socrates and Epicurus, the nature of wisdom, and the difference between the two schools of thought. Simply put: while for the Stoics Socrates was a role model, and arguably the closest thing to an actual Sage, the Epicureans despised the fellow, accusing him of lying and positively getting in the way of people’s ability to achieve eduaimonia. What the hell? To begin with, even the very existence of this controversy, as Brouwer reminds his readers, is further confirmation of the centrality of Socrates’ figure for all Hellenistic philosophies. Love him (the Stoics) or despise him (the Epicureans), he was the point of reference against which one had to measure one’s philosophy. What, exactly, was Colotes’, and the Epicureans in general, problem with Socrates? They argued that he said one thing and practiced another, because he claimed to know nothing, and yet he clearly did know certain things. They deduced from this that Socrates did not wish to share his wisdom with people whom he should have treated as friends. This sort of behavior, in turns, makes the (Epicurean!) ideal life of shared friendship impossible. Interestingly, by the way, Plutarch does not mention the Stoics in his rebuttal to the Epicureans, and Brouwer suggests that this was a shrewd move on his part: he could therefore project the impression that it was the Platonists, not the Stoics, who were the true inheritors of Socrates’ legacy. 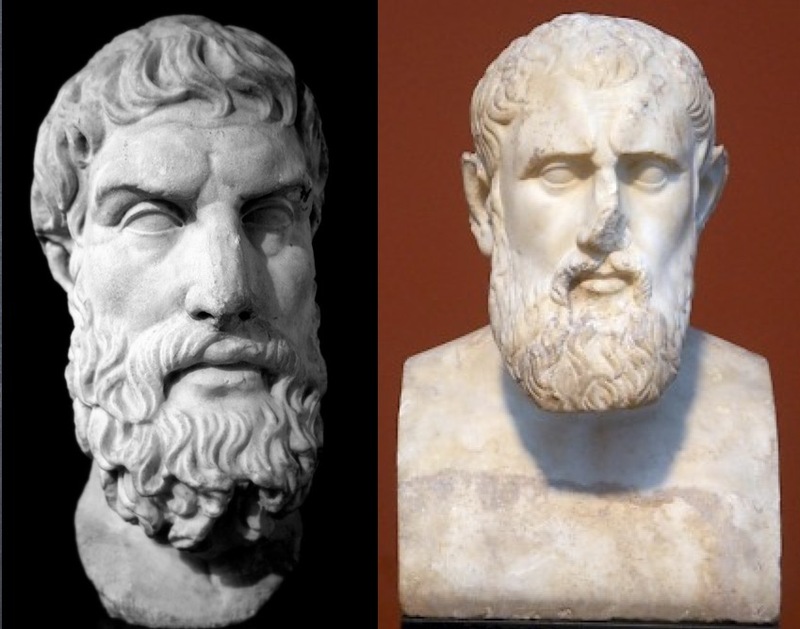 Epicurus’ barbs were apparently directed specifically at the Stoics: he positioned himself as a Sage and anti-Socratic, in sharp contrast to the Stoic view that we should search for wisdom precisely by patterning our efforts after the example of Socrates. The Stoics in turn made their own, and elaborated upon, Socrates’ definition of wisdom: knowledge of human and divine matters. As we have seen at the beginning of our discussion of Brouwer’s book, this means knowledge of how to live (human matters) and of how the world works (divine matters). That’s why there is no contradiction, pace the Epicureans, between Socrates’ profession of ignorance (in the specific sense of lack of wisdom, the relevant word is amathia) and his acknowledgement that some people do have “knowledge,” in the limited, and less important, sense of techne, as in the case of the craftsmen he mentions in the Apology (22c-e). To know how to make a musical instrument is surely a type of knowledge, but it falls into an altogether different category than knowledge of how to live one’s life, which was the main Socratic, and Stoic, concern. This entry was posted in Ancient Stoicism and tagged On the Nature of the Sage on September 14, 2017 by Massimo. On the nature of the Sage: III. Was there ever a Sage? 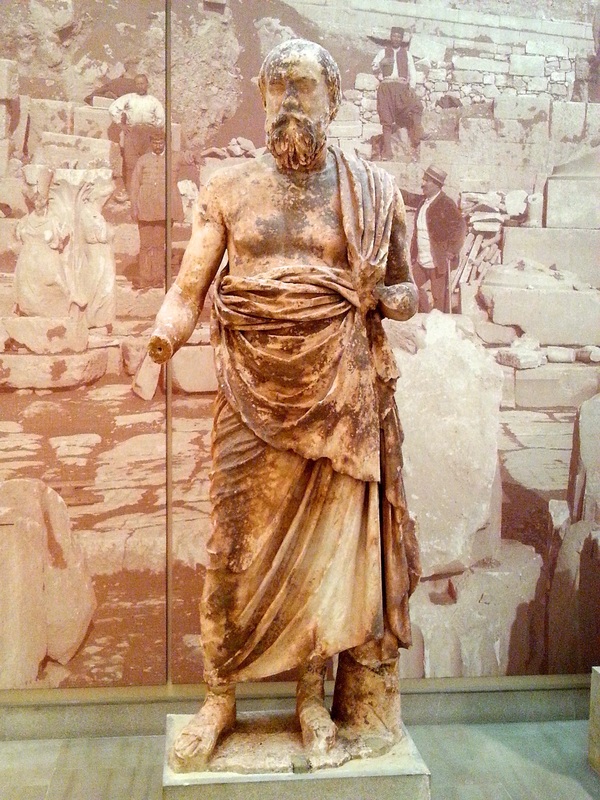 The Philosopher at Delphi, a Sage? 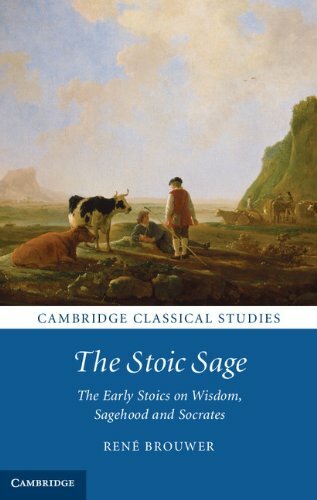 Let’s continue our discussion of René Brouwer’s The Stoic Sage: The Early Stoics on Wisdom, Sagehood and Socrates (Cambridge Press) with a look at the third chapter of the book, on whether the Stoics thought the Sage was a real thing or just a hypothetical. Again, in a sense this series is truly more “academic” than practical, since none of us will likely become a Sage anyway. That said, the Stoic Sage is what we aspire to, akin to the Enlightened Buddha, for instance, so it’s interesting to learn what the ancients thought of the whole idea. The second part of this is a straightforward attempt at logical “gotcha!” on the part of Sextus, but of course it is not wise to interpret the Stoics’ “dogma” (which was the word used for philosophical tenet, or belief) in a literal sense. To say that we are all ignorant is something very akin to the Socratic idea that we are all unwise. It is more charitable, and useful, to treat it as a call to epistemic modesty. Diogenes of Babylon, a Stoic, says in fragment 32 that while gods (i.e., nature, the cosmos) are of such a nature that they necessarily exist, this does not apply to the nature of the Sage. In a sense, the Sage is a theoretical possibility, but does not have to be realized in any specific instance. Sextus confirms this, when he says: “up till now their Sage has not been found” (SVF 3), all of which would seem to flatly contradict Hirzel’s conclusions about Zeno and Cleanthes, which were based on guesswork and a psychological argument about how Zeno could most convincingly present his new philosophy to the public (as in “hey, come over here! I’m a Sage!). I have written about Odysseus as a Stoic role model, but here Seneca actually makes him into a Sage, which is above the role of a simple role model. 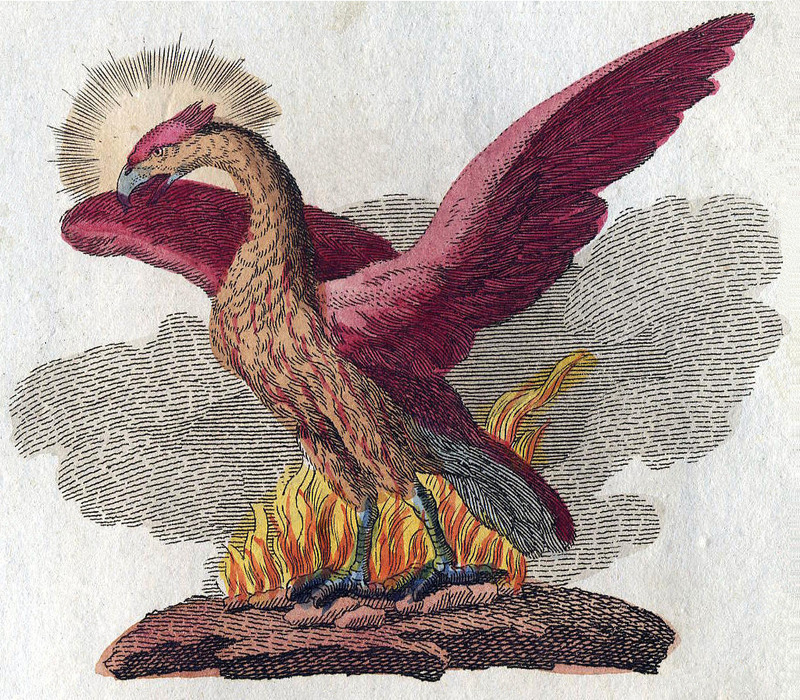 Then again, notice how often the Sage is talked about in mythological terms (the phoenix, Odysseus, Heracles…). Note, incidentally, that Epicurus did consider himself a Sage, so Philodemus here is making a dig at the Stoics for not having any Sages in their ranks. This is both very shrewd, as Diogenes observes, and in fact an excellent explanation of the Stoic doctrine that there is a difference between reasonable judgments on impressions and truth. Again, the latter is obtained only by the (possibly mythological) Sage. Sphaerus here has cognition, but not “stable” cognition, i.e., knowledge. Given that, then there is hope for the rest of us too. This entry was posted in Ancient Stoicism and tagged On the Nature of the Sage on September 6, 2017 by Massimo. Let’s start a series of commentaries on a book by René Brouwer, an assistant professor at the School of Law at Utrecht University in the Netherlands, entitled The Stoic Sage: The Early Stoics on Wisdom, Sagehood and Socrates (Cambridge Press). It’s a bit technical, and not cheap at $56 for the Kindle edition and a whopping $90 for the hardcover, but it’s worth discussing a number of chapters from it, beginning with the first one, where Brouwer introduces two definitions of wisdom. The Stoics thought of wisdom as (i) “knowledge of human and divine matters,” and (ii) as “fitting expertise.” The first definition actually became commonplace in the ancient world, but Brouwer says that the Stoics were the first ones to use that particular articulation, and he begins his discussion with it: “the three elements in it — i.e. knowledge, human matters and divine matters — can be connected to the three parts of philosophical discourse as distinguished by the Stoics — i.e. logic, ethics and physics.” In other words, there is a direct connection between the Stoic concept of wisdom and the three fields of Stoic philosophy. As is well known, physics is concerned with the study of how the world is, logic with the study of reason, and ethics with the study of how to live. But how, exactly, are the three topoi related to the first Stoic definition of wisdom? So to recap: knowledge [logic] of human [ethics] and divine [physics] matters. This being the case, then, Stoic excellence is to be understood both in the specific moral sense and in the broader human sense, outside the moral sphere. Brouwer elaborates: “Logic as an excellence, according to Cicero, provides a method of reasoning that guards against assenting to incorrect impressions. … Physics is an excellence, too: without an explanation of the natural world justice towards other human beings and piety towards the gods is impossible.” So a good Stoic does not want to excel only at the moral virtues, or in the practice of ethics, but also in the other two topoi, if nothing else because those are instrumental for the pursuit of the third one. It is interesting, as Brouwer notes, to recall that early definitions of philosophy, as in Herodotus and Heraclitus, framed it as loving wisdom, whereby the “lover” (i.e., the philosopher) already possess it. It is Plato that shifts to what then became the standard take, philosophy understood more modestly as striving toward wisdom. Going back to the (second) definition of wisdom itself, Brouwer goes along with Long and Sedley’s interpretation, that it is a shorthand for “expertise of what is really useful.” A further elaboration is found in Seneca (Letter 88.26.7) where he presents a picture of different types of expertise as instances of “knowing how” (to play an instrument, to solve a geometrical problem, etc. ), with wisdom being a superior type of “knowing why,” that is, knowing when and how to use every other kind of knowledge. This entry was posted in Ancient Stoicism and tagged On the Nature of the Sage on August 23, 2017 by Massimo.